St. Patrick’s Day is almost here. 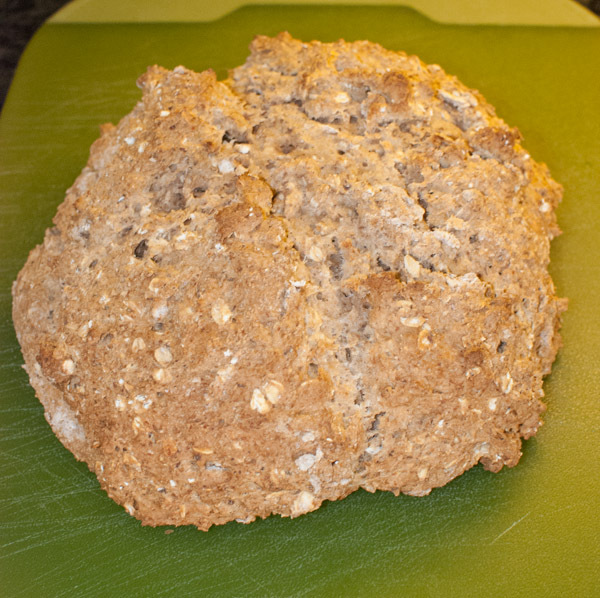 We made our favorite Irish Soda bread recipe, tried a new recipe, and had fun with the resulting taste test. The best part? 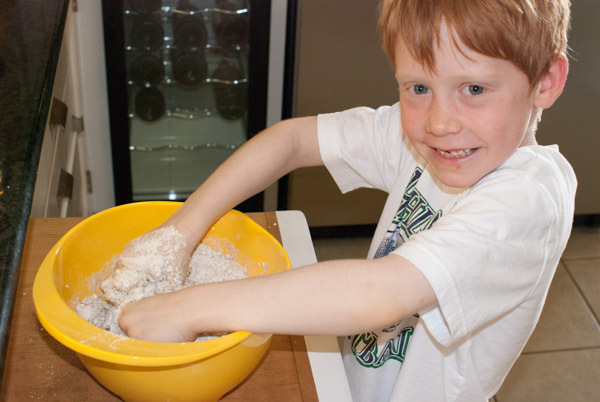 The kids get to mix the dough with their hands! 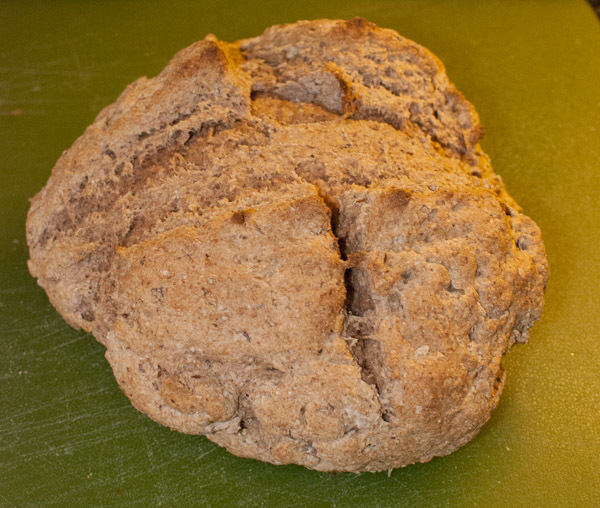 Irish Soda bread is made without yeast. The buttermilk and baking soda act as the leavening agent. A cross is cut into the top of the bread to help it rise and, according to Irish folklore, to let the fairies out. Thank you to Family Fun Magazine for Recipe #1. *If you do not have buttermilk on hand, you make your own. For each cup of buttermilk needed, do the following: put a tablespoon of vinegar in the measuring cup, then add milk to the 1 c. line. Let the milk sit for 10-15 minutes. Measure the dry ingredients in a large bowl and stir well. Make a well in the mixture and pour the buttermilk in. Mix with your hands. It will be sticky! When you are done mixing, wash off your hands. 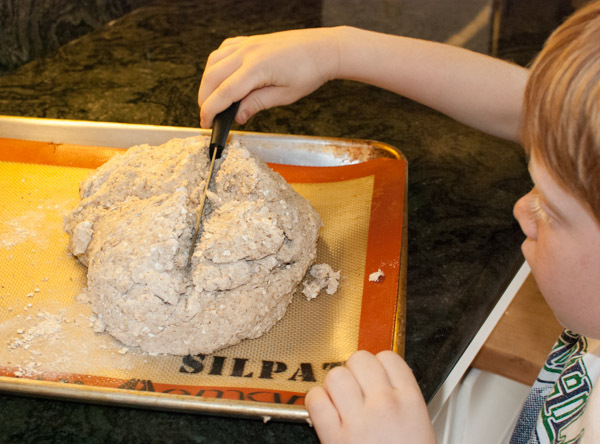 Put the dough onto floured cookie sheet (we used a nonstick baking mat) and shape the dough into a ball. Make a deep X in the top of the ball, widening it with the sides of the blade as you cut. Bake the bread until it’s golden brown, about 50 minutes. Let it cool on a wire rack for at least 10 minutes before slicing. Recipe #2 is from The Complete Irish Pub Cookbook. This recipe is even easier. It results in a chewier, more elastic loaf with a nice crust. Measure the dry ingredients into a large bowl and mix well. Make a well in the center and pour most of the buttermilk in. Mix well using your hands. Dough will be sticky. Dough should be soft but not too wet. If needed, add the rest of the buttermilk. 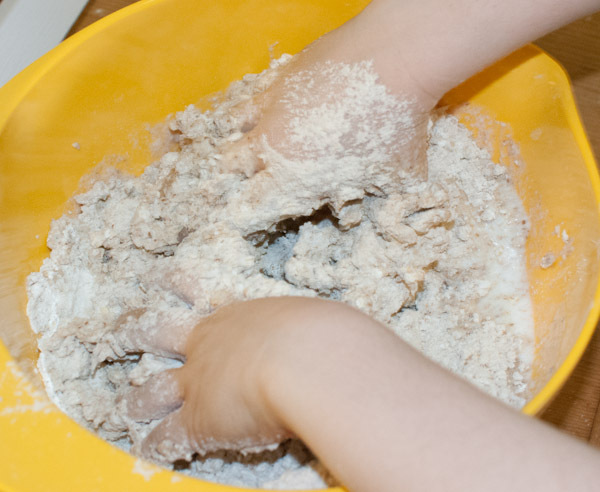 Turn the dough onto a lightly floured surface and knead it lightly. Do not over-handle or the loaf will be tough. Put the dough onto a floured cookie sheet (we used a nonstick baking mat) and shape it into a ball. Bake for 25-30 minuted until golden brown. We liked both loaves. They were very similar. My kids are used to the first recipe and like the slightly more crumbly texture that results from the addition of the oats. That being said, we polished off half of each loaf for dinner! 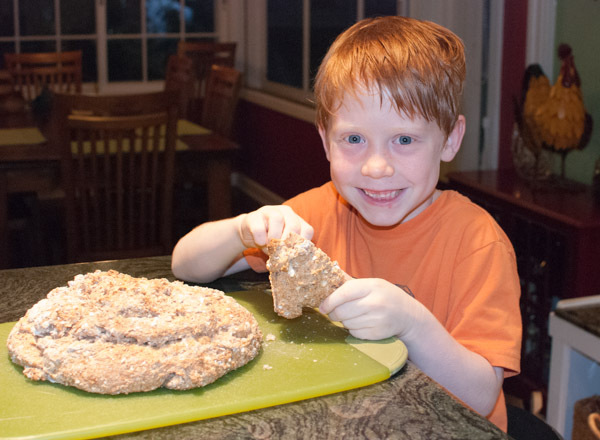 This entry was posted on March 4, 2015 by mdaucello in Leprechaun Adventures, Recipes, St. Patrick's Day and tagged bread, Irish Soda Bread, kids, recipe, St. Patrick's Day.